The "store.darlingbudsflorist.com." 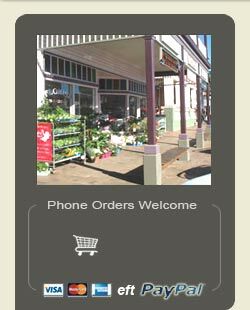 website ("website") is operated by Darling Buds Florist (ABN 35 753 676 157). Your use of the website is conditional upon your acceptance and compliance with the terms, conditions, notices and disclaimers set out below ("Terms and Conditions"). You should read them now. Your use of the website constitutes your agreement to the Terms and Condition. 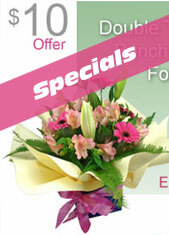 Darling Buds Florist reserves the right to amend the Terms and Conditions at any time and without notice to you. Your continued use of the website after any amendment becomes effective constitutes an agreement by you to abide and be bound by the Terms and Conditions, as so amended. Capacity The products on the website are only available for sale to individuals who can make legally binding contracts. The products are not available to persons under the age of 18 years and any other persons who are legally prohibited from entering into binding contracts. Orders Any order placed by you in the manner described in this website is an offer by you to purchase a particular product for the price (including the delivery and other charges and taxes) specified in this website at the time you place your order on these Terms and Conditions. Instore Pty Limited reserves the right to accept or reject your offer for any reason, including, without limitation, the unavailability of any product, an error in the price or the product description posted on this website, or an error in your order. Your contract with Instore Pty Limited only comes into existence when it forwards confirmation of receipt of your order and payment. Should a non floral, hamper or plant ordered item be out of stock, Instore Pty Limited shall normally inform you by email or other means of communication within the next 2 business days following order placement. Exception to this is when you have nominated a substitute item. Prices Prices of products and services and delivery and other charges displayed on this website are in Australian Dollars (AUD) and are current at the time of issue, but may change at any time and are subject to availability. Goods and Services ("GST") and Other Taxes Prices displayed on this website are inclusive of GST applied at the rate of 10%. You are responsible for any taxes, duties or other liabilities imposed by any governmental agency, including without limitation, any customs duty, goods and services taxes or any value added tax imposed on any products or services acquired or ordered by you from this website. Substitution Policy - occasionally an item advertised as a gift item or gift item within a gift pack may become out of stock. In these circumstances we will substitute with a similar item of either equal or greater value than the substituted item. Flowers & plants may vary according to seasonally available product. Alcohol - Gift packs containing alcohol can only be delivered to persons aged 18 or over. Proof of age may be required by our courier. Alcohol cannot be delivered to the same residential address as the person who placed the order. Gift Packs and Flowers are delivered by default without a signature being obtained. For Gift Packs however, you may request a signature be obtained by checking the appropriate box on the final page of checkout. Should the recipient not be available to receive the goods, a redelivery fee of $15 may apply per failed delivery attempt.